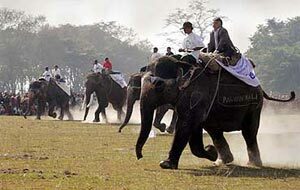 Nepal is also popular for Sport tourism such as golfing in Kathmandu, paraglading in Pokhara and Marathon Sky Race in the mountain region, Mountain Bike and Motor cycle tours, Everest Marathon Race, Elephant Polo, International Elephent Race Comptition, White Water Rafting Comptition, Canoing Comptition etc. Adventure Silk Road Inc has been in tourism business since more then two decades specializing in Nature, Culture and Adventure Sports Tourism in Nepal. 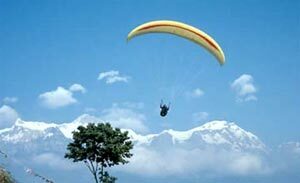 With the thrills of outdoor activities Nepal also offers city fun for its visitors. 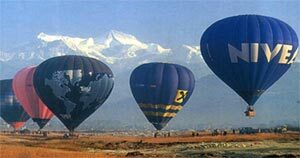 While visitors enjoy the rustic by simply beholding spectacular sights and partaking in the activities of exotic cultures, in cities like Kathmandu and Pokhara some entertainment is on par with western world. Visitors have a choice from a potpourri of amusements. They can: partake in cultural shows that include theater and local art; wine and dine at premier hotels that provide excellent service; enjoy music and dance at newly-opened discotheques; try a luck at rummy or blackjack at one of our casinos; or just watch a movie as cozy twosome in one of our movie theaters. Kathmandu, which is generally a quiet city after twilight bustles with life till the wee hours of morning in the narrow alleys of Thamel and other selected places. Bars and pubs, many of which feature live music stay open till late night while discotheques function to keep boredom at bay for the young Nepali crowd and tourists out for the night. A taste of Nepali culture is still sought by tourists. Visitors are fascinated by ethnic ambience in local restaurants that serve authentic Nepali food. Art galleries and museums of the Valley exhibiting cultural treasures are also among preferred tourist choices. Health clubs and gymnasium are available for sports lovers. While latest Nepali and Hindi movies run in most movie theaters, a theatre in Kathmandu also runs good English movies. Video and DVD stores offer wider range of choices.